Have you ever topped a golf ball and watched it skid off the tee box or along the fairway? Have any of your friends chirped in and said, “You lifted your head - you need to keep your head down”? If someone tells you to keep your head down you should run for the hills! Hey Sean, I’m having some serious trouble topping the ball. My friends tell me that I need to keep my head down. Is keeping my head down the correct thing to do in order to solve this problem? Sam, keeping your head down is probably one of the worst things you can do in the golf swing. Think about one of the greatest women's golfers of all time, Annika Sorenstam. She was a person who rotated her head and swiveled it with the shot. Do you find that you catch shots heavy when you have a downhill lie golf shot? Are you looking for a consistent technique to help you fix this? You absolutely crush a drive on your tee shot - hitting it down the middle of the fairway. You’re thinking you’re in good shape - only when you get up to your ball, you find it on a steep downhill lie. The good news is that your ball is in the fairway; the bad news is that you're not really sure what’s going to happen when you hit the shot. I play a course with a lot of hills and slopes, and I have trouble with the downhill lies. I have a tendency to catch them heavy. Do you have any techniques that can help me catch the ball first? What I’d like you to remember is this: when hitting a downhill lie golf shot, one of the most important parts of the golf swing is knowing where your weight is in your golf swing. You’ve been there before - I think we all have. You hit the golf ball great on the driving range, but when you go to the golf course, it’s the complete opposite - just terrible. Troy asked the same question when he wrote, “When I go to the driving range I hit the ball great; but when I go to the golf course, I really struggle to repeat what I was doing on the driving range. Do you have any driving range tips that will help me take my practice from the range to the golf course? Before I share a few driving range tips with you, I would like to bring to your attention the importance of practicing on the range as if you are on a golf course. First, set the alignment rod down, aiming it slightly left of the target (this will change based on the shot shape you are trying to hit). 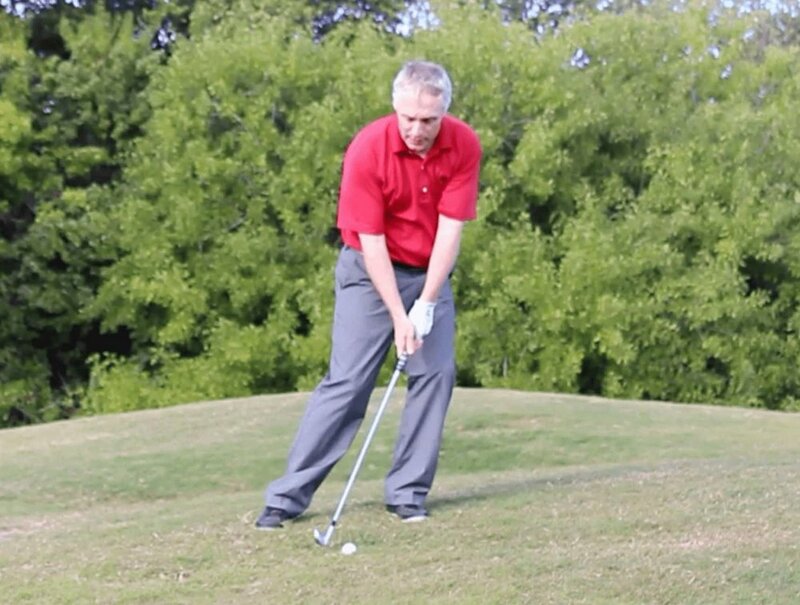 There’s a way for you to learn how to hit a draw in 3 simple steps. I struggle to hit a consistent draw, and a lot of the holes on my golf course are shaped right to left, which require a draw shot. I try rolling my wrist at the bottom of my swing to hit the draw. This leads to hooks and inconsistent shots. How can I hit a consistent draw?